Never imagined being 45. Knew I’d live past 90 as I have VERY good genes, but still never pictured me @ 45. If I were 40 pounds lighter, it actually would pretty much rock. But, I have to say that this America is nowhere CLOSE to the America of my youth and I MISS IT. Went to dinner with some work friends the other night and had the best conversation about Television and TV shows from the late ’60s, ’70s and ’80s. Lost in Space, Happy Days, Barney Miller, M*A*S*H, Leave It To Beaver, Wonderful World of Disney, and I could go on and on…Just what happened? Days like this cause me to reflect on the past and just how much things have changed since that time long, long ago. On the other hand, I don’t feel a day over 23 in my mind. My body throws off aches and pains. Bad eyesight, tired ankles, and diminished stamina are pervasive, BUT I still look for fun wherever I can find it. While I am glad to still be here, I’m a bit nostalgic for the “good, old days”. So, the receipt of a most excellent gift today really had me borderline giddy. The Beatles’ remastered #1 album in 1964 of Meet the Beatles. Can I tell you how absolutely “fab” this is? While the carrier of Lennon-McCartney staples like All My Loving and Hold Me Tight, this sophomore release showcased some of the best covers ever done by The Beatles. 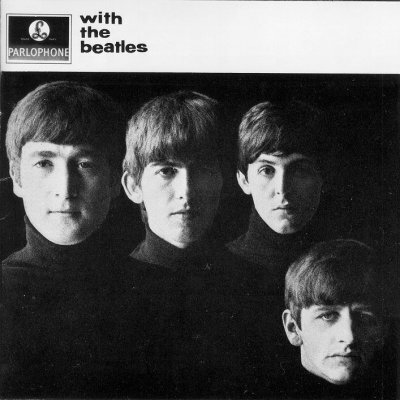 The male version of Please, Mr. Postman is simply superb, while Chuck Berry’s Roll Over Beethoven is forever immortalized through this Beatles’ version. Likewise on Smokey Robinson’s You Really Got a Hold On Me and Barry Gordy’s own Money (That’s What I Want). However, the cover song that I simply ADORE from this album is the staple from The Music Man — Till There Was You. So, these “rebels” who caused such upheaval and consternation, were actually conessieurs of fine theatre, poetry, art and traditional show tunes. Who knew?….and it ALL started in 1964. Ah, yes…a VERY good year. Lovin’ this Kenny Chesney/Dave Matthews collaboration, lately. I’m pretty much in the “order” camp and don’t believe in consequences, so I think that certain things are put in our path to show us the way, teach us lessons, wake us up, whatever. This song seems to be one of those needed entities, coming along at just the right moment to comfort, heal, encourage appreciation. It speaks to me for several reasons. I’m a bit sympatico with Kenny Chesney due to his love of water, beach and life, in general, and most of his songs absolutely resonate with “everyday” people on everyday issues and concerns. We visit the beach fairly regularly and recently spent the Labor Day weekend there. Every time I go to the beach, it presents an opportunity to unwind, relax, and contemplate. (And I am a World Champion Contemplater.) This is a perfect song for that. Second, it makes me feel good/better and makes me thankful for this day and for things to come. It reflects on the fact that LIFE IS HARD. And, it is…but as my BIL says, “God is good”. While we all have trials and tribulations, we all have great triumphs and joys and really, isn’t that what makes it worth getting out of bed every day? So, while I’m caught up in the tornado of life with Senior year, college choices, house selling, house building, aging parents, job worries, etc., etc., it illuminates the fact that HEY! I’M ALIVE. Lastly, this song shows that country isn’t all twang based (yes, Shrew I’m looking at you). This is a song that Dave Matthews’ fans can accept and relate to — hell, even love. Kenny truly is more crossover than most Country artists and songs like this one really show his broad influences. I think when you boil it all down, a good song is a good song. As when Ray Charles did Country, it brings a new credibility to the once twang-laden genre. It’s all about the emotion…the kun-NECK-shun. So, take Kenny’s song to heart today. While you trudge through whatever hell you suppose you have, remember….YOU’RE ALIVE! A long-time music milestone was broken this week. LeAnn Rimes’ How Do I Live was toppled as the longest-running song on the Billboard Top 100, which held the previous record of 69 weeks. So, you’d think such an accomplishment (I mean we’re talking a nearly five quarters, here) would be championed by the Jonas Brothers, Miley Cyrus, Taylor Swift or any of the plethora of other bubble gum rockers that are always being thrown in our face. 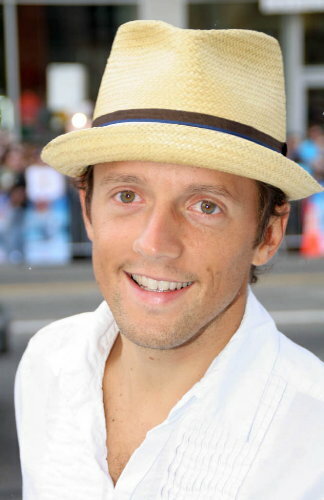 But, no, this time the record goes to the unlikely champion of Jason Mraz, and his stalwart release, I’m Yours. Now I love(d) this song. I first heard it through my kid, who recommended it because he knows “my style”. However, he liked it too. So did his guy friends and of course, so did his girl friends. Like most popular songs that are well liked, I’m Yours, spent several months around and on the top of the charts and got decent radio play, but nothing to indicate that it would still be around over a year later. But, 71 weeks with no sign of dropping off? Why? I mean, I’m Yours is catchy and highly entertaining, has great lyrics and is performed with great emotion, but isn’t it similar to Bobby McFerrin’s Don’t Worry, Be Happy? As far as I can tell, the song hasn’t had significant label backing, hasn’t been featured in any movies, isn’t attached to a mega star, and isn’t a novelty sensation. It just keeps hanging around…and is now nominated for a Grammy for Song of the Year. Take a look/listen to Mraz’s performance of I’m Yours and give me your theory as to why it has been “the little single that could”.